18th – 20th September was the County Training Weekend at Netherurd which was enjoyed by all who attended. Lots of new activities were tried including “Body Zorbing”! We are one of 38 counties that make up Girlguiding Scotland. Our area starts in Portlethen and follows the coast down through Newtonhill, Stonehaven, Inverbervie and Johnshaven to St Cyrus in the south. We then go inland to Mearns taking in the villages of Luthermuir, Laurencekirk and Auchenblae before heading to Fettercairn and crossing the Cairn O’Mount to Banchory. We then travel along Deeside to Aboyne, passing through Ballater to Braemar and returning towards the coast via Tarland, Lumphanan, Torphins and Maryculter. We have 8 Guiding Districts: Coastal North, Lower Deeside, Mid Deeside North, Mid Deeside South, Banchory, Mearns, Coastal South and Stonehaven, each one administered by a District Commissioner Team. 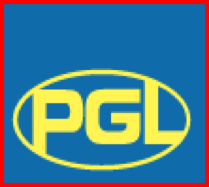 In our area we have approximately 1200 women and girls taking part in Guiding every week. Our girls take part in a huge selection of activities, learning essential life skills, having fun and making many friends along the way. We would like you to come and join us. Thanks to the dedication and support of 100,000 amazing volunteers, we are active in every part of the UK, giving girls and young women a space where they can be themselves, have fun, build brilliant friendships, gain valuable life skills and make a positive difference to their lives and their communities. 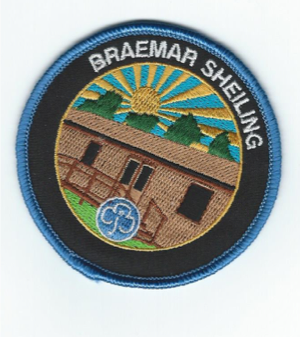 Braemar Sheiling is a cottage in Braemar owned by Girlguiding Kincardine & Deeside. It is used by Guiding and others for various activities from local groups meeting weekly to Guiding groups staying for residentials. It is now 60 years old and no longer fit for purpose in todays world – we want to rebuild and modernise it. Each unit was given £5 in spring 2018 and the task is to grow it by Dec 2019. For the unit that “grows the most” there will be a free weekend in our new Sheiling when it is built. So you may ask – how do I grow £5? How inventive can you be – which unit can raise the most money? Click here to find out more about Braemar Sheiling.